Students and staff of the Department of Anatomy and Neuroscience have gathered with donor families and friends to celebrate the lives – and altruism – of those who donated their body to the university’s Body Donor Program in 2017. 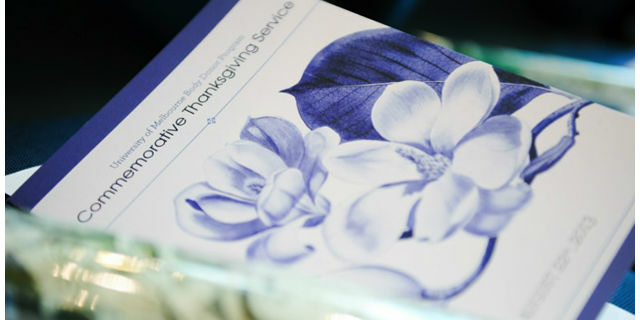 The seventh annual Commemorative Thanksgiving Service, organised by Associate Professor Jenny Hayes and Lesley Smith, Body Donor Program coordinator, took place in Wilson Hall on 23 August. 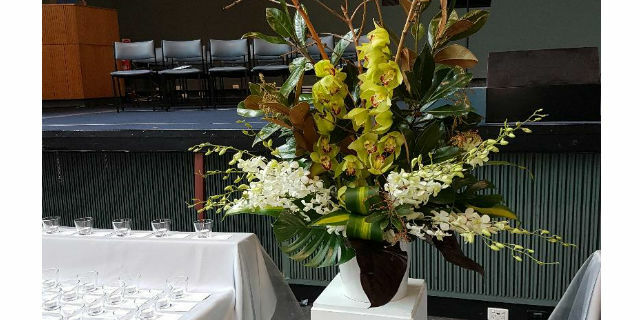 Students greeted the donor families and friends and also placed handwritten individual thank you notes on the guests seats alongside a single white rose. During the service there were personal reflections, poetry, prayers and the lighting of 238 candles – each bearing the name of a donor who passed away in 2017. Professor Shitij Kapur Dean, Faculty of Medicine, Dentistry and Health Sciences and Assistant Vice Chancellor (Health), gave a moving welcome address. Professor Charles Guest, Victorian Chief Health Officer and University of Melbourne alumnus, also spoke as a donor family member, as both of his parents bequethed their bodies to the program. Each reassured the donor families about the valuable education and inspiration they gained from working with the donors and the level of care and respect afforded to them. Claire Gaskin read a specially commissioned poem and Revd Dr Sunny Chen, the university’s Chaplaincy Coordinator delivered a blessing. The university has the largest and oldest Body Donor Program in Australia, which receives more than 200 donor bodies every year. This directly benefits more than 2000 students enrolled in anatomy subjects such as science, biomedicine, MD, physiotherapy and graduate diploma in surgical anatomy. Without such generous donations, the next generations of healthcare professionals would not receive the advanced training they need to prepare for their important careers. To find out more visit the university’s Body Donor Program.